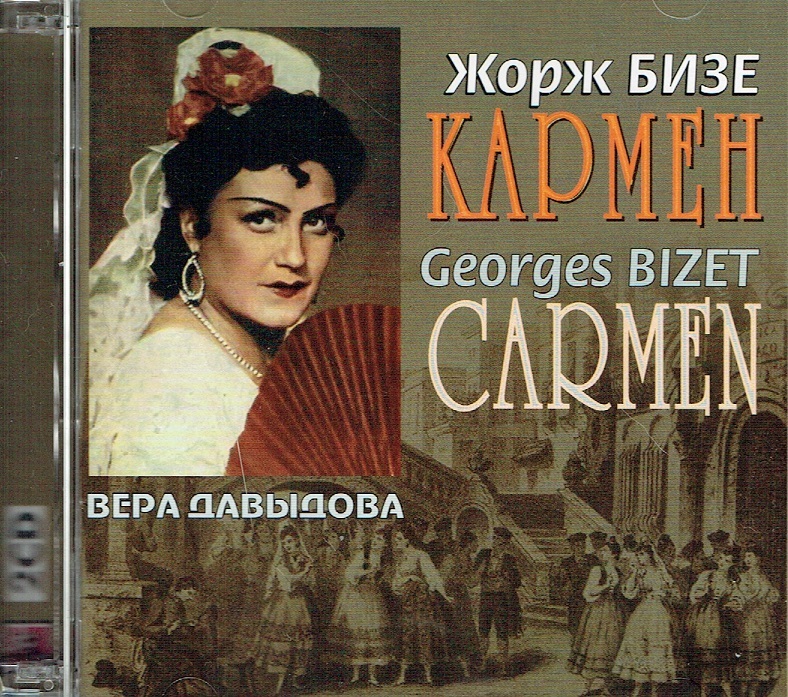 “Recorded in 1937 in Russia, this recording of CARMEN is more obscure than most of its Western predecessors (this was the opera’s eighth complete recording, as good a demonstration as any of its popularity even then). Of the three acoustic recordings, collectors are mostly familiar with, the first is a 1908 effort with Emmy Destinn. 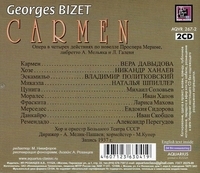 The first electrical recording, made in 1928 with Raymonde Visconti in the title role and Georges Thill as José, remains a classic example of the early 20th-century French performance style; it is available on a number of labels. The first Italian-language recording was done in 1931 with Gabriella Besanzoni as Carmen and forces from La Scala; a more well-known Rome Opera recording followed in 1933. That one offered a thrilling, over-the-top verismo style of performance with Aurora Buades and Aureliano Pertile - by the final scene you could be forgiven for believing that they were both ready to kill each other. Then in 1937 came this effort from the Bolshoi. Clearly a CARMEN sung in Russian would not be anyone’s first choice. The fact that in Russian, it is sufficient to make it of interest only to specialist collectors others interested in the history of operatic performance style. But for those people, this is an important addition to a collection. Although short on French elegance, there is some beautiful and vivid singing and exquisite conducting to be heard here. Vera Davydova (1906-1993) was in her prime in 1937. She had a rich, darkly colored mezzo-soprano and was a leading singer at the Bolshoi, with a repertoire encompassing Amneris, Marfa in KHOVANSHCHINA, and similar standard fare for the Bolshoi at that time. Her Carmen is not exactly flirtations or coquettish, but it is convincingly feminine and sensual. Moreover, the role is sung with a voice that is evenly produced from top to bottom and that is comfortable at all dynamics. 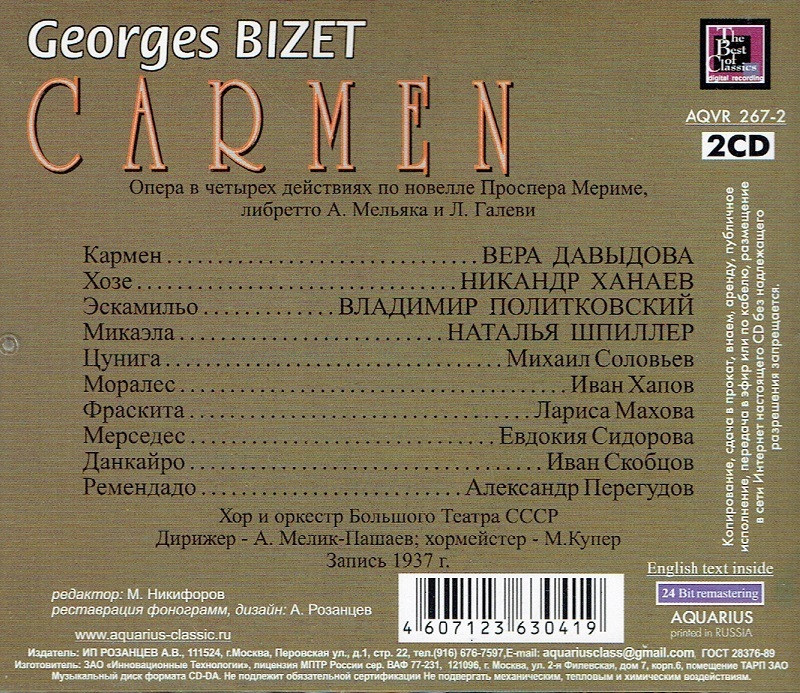 There are certainly Carmens on disc with more imagination and a wider range of vocal colors, but there are not many more richly vocalized, and it is instructive to hear how the role was performed by a Soviet-era singer. Today we are used to Russians singing in all the major international houses, but in the 1930s they rarely traveled. Nikandr Khanaev, a voice new to me, is a wonderful José. Born in 1890, he was about a decade older than his more lyric Bolshoi competitors Kozlovsky and Lemeshev, and he focused more on the heavier repertoire. Otello, Sadko, and Ghermann (in Tchaikovsky’s PIQUE DAME) were specialties, along with Don José. The voice has plenty of heft and weight, but Khanaev is also able to sing softly and with a lovely sense of line. His José is a forceful personality, very powerful at the end of the second act and convincingly unhinged in the dramatic final scene. Natalia Shpiller sings a particularly beautiful Micaela, with a real glow in the tone and a touching demeanor. She is delicate without being simpering, a hard line to walk in this role. Vladimir Politkovsky’s Escamillo is also strongly sung, with the vocal resources to adequately cover both ends of the role’s taxing range. More than the individual performances, however, it is the overall sense of ensemble and theatrical credibility here that rewards the listener who can listen past the language barrier. Some of the credit for this goes to very strong casting in all the smaller roles but even more to the conducting of Alexander Melik-Pashaev. His work is well known to collectors, and he delivers a performance well balanced between lyricism and drama. The pacing is natural, and one feels that the entire cast is interacting with one another rather than singing to the microphone. This is particularly true in the second act exchanges between Don José and Carmen, as well as in their intense final duet. “Vera Davydova made her début in 1929 at the Leningrad Theater of Opera and Ballet. From 1932 to 1956 she was a soloist at the Bolshoi Theater of the USSR. In 1959 she began teaching at the Tbilisi Conservatory, becoming a professor in 1964.